The Seven Wonders of the World are comprised with monumental structures that have lasted over centuries. They include: Taj Mahal, Chichen Itza, Christ the Redeemer, Colosseum, Great Wall of China, Machu Pichu, and Petra. First up: the crown of palaces – this wonder is the finest example of Mughal architecture (the style pulls from Islamic, Persian, Ottoman Turkish and Indian architectural styles). 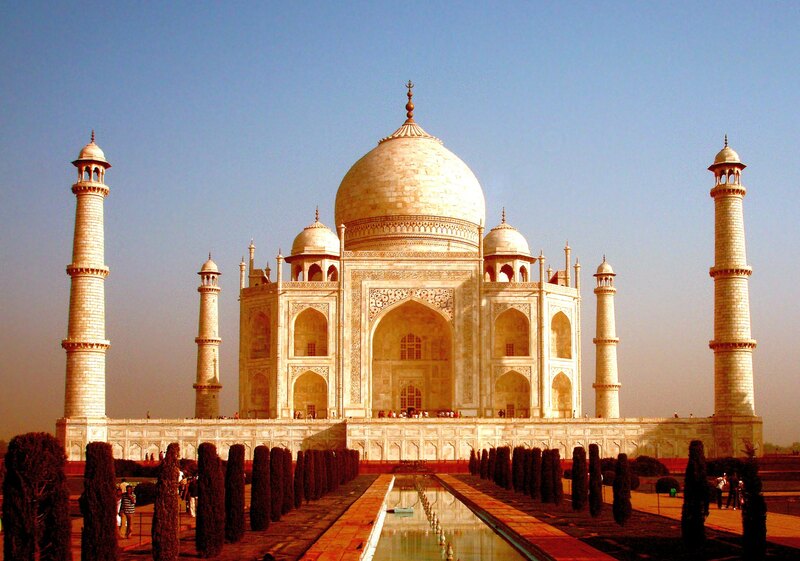 Whether viewed from the west or the east, this beautiful landmark represents the heart of India. This is the place to fall in love upon the country’s sunset, learn the proper way to wrap a turban in Jodhpur, as well as gaining a chance to ride a beautifully painted elephant in Jaipur’s pink city. Aladdin and Jasmine’s love story doesn’t seem to fall behind. Dust up on your Español darling, the pre-historic city of Chichen Itza (also known as ‘at the mouth of the well of Itza’) will require a bit of native tongue if you want to fully understand it’s history. With some of the earliest architectural construction to date, it translates into the late Classic period, which according to the traditional nomenclature for the Northern Yucatan, occurred between 600 and 800 AD. The stunning architecture is quite the climb, bring your handiest stretchy pants for quite the workout. 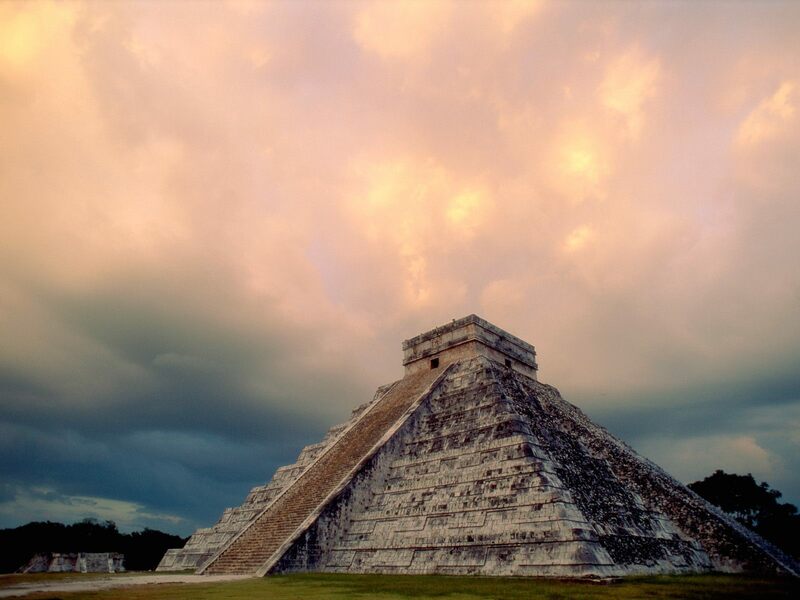 The Kukulkan Pyramid (known as ‘El Castillo, the castle’) has been elected at one of the seven wonders of the world in late 2007. 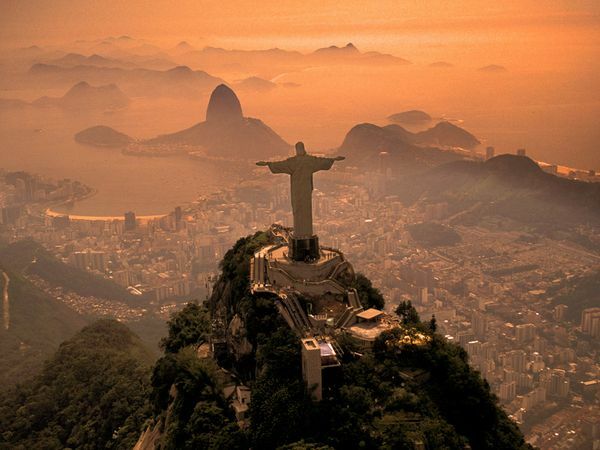 Famous for a brief appearance in all drug lord movies, Christ the Redeemer statue is third on the list. The statue of Jesus Christ in Rio de Janeiro, Brazil has been regarded as the saint of reinforced concrete and soapstone, created between the years of 1922 and 1931. As a symbol of Brazilian Christianity, the statue has been played up in pop culture as the redemption needed before sinful acts were committed. The statue overlooking Guanabara Bay has surfaced in many video games (ie: Call of Duty, Civilization, Angry Bird Rio, and Tropico). The elliptical amphitheater in the centre of the city of Rome, Italy is number four. Recognized as one of the greatest works of Roman architecture and engineering, it is the largest amphitheater in the world. 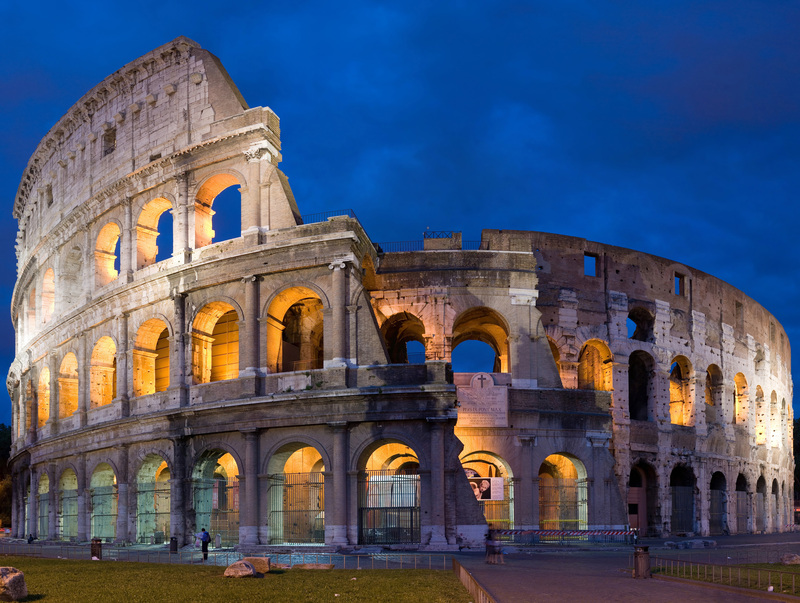 The Colosseum is situated just east of the Roman Forum, with the ability to hold an estimated of 50K-80K of spectators. Roughing in about a couple thousand tourists per year, the site’s authentic mythological look is memorizing. Unless you’re a highly trained athlete, don’t even think about making a straight lap in number five. 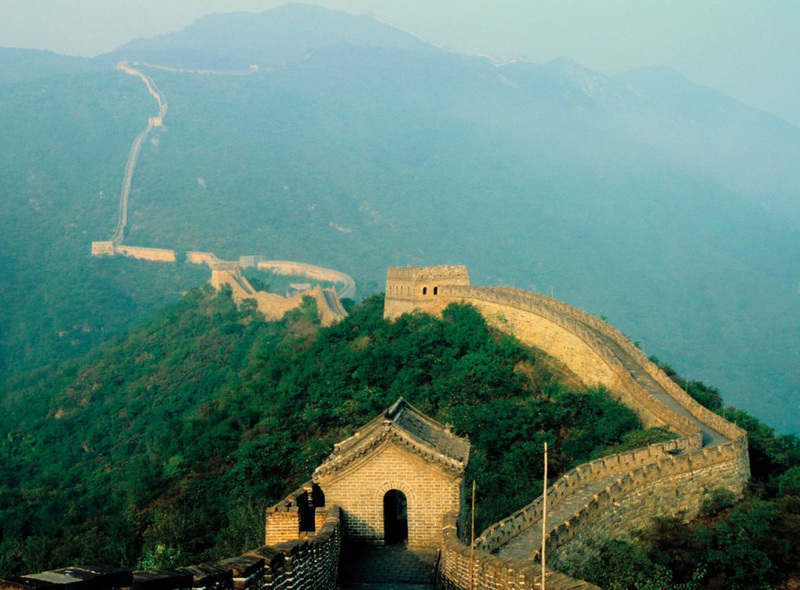 Made up of stone, brick, tamped earth, and wood, The Great Wall of China is built along an east-to-west line across the historical northern borders of China. It was aimed to protect the Chinese empire against nomadic groups and military incursions. 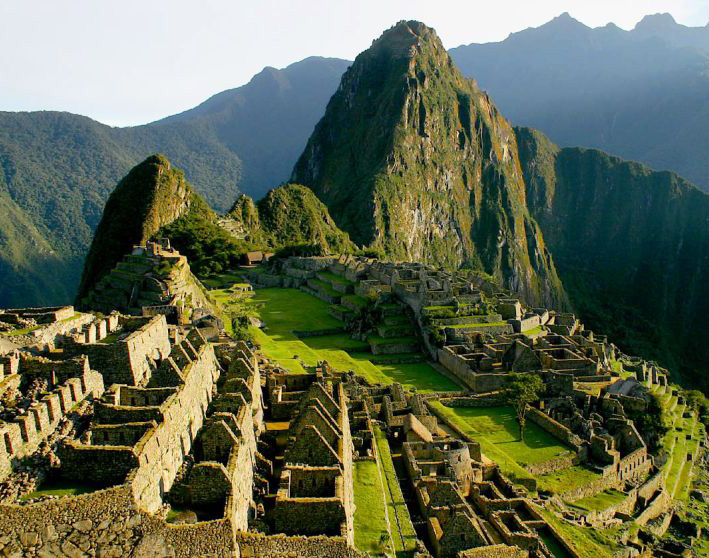 Built in 1450 by the Incas, the Machu Picchu was only known locally for hundreds of years until being brought to international attention in 1911 by American historian Hiram Bingham. Due to it’s deterioration, the historic site was placed on a list of the 100 Most Endangered Sites in the world. Entrance to the site has been limited to 2,500 visitors a day to keep the area intact – so some call it one of the most exclusive wonders of the word. Named as one of the top 28 Places to See Before You Die, Petra is without a doubt one of the most beautiful spots in the world. 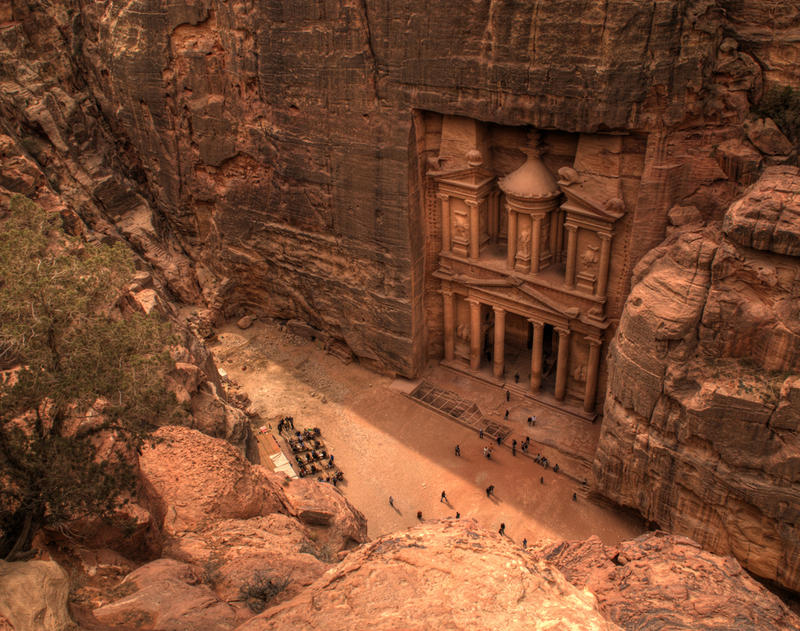 Also known as “Rose City” for it’s rose-colored hue, Petra can be seen in films such as Transformers, and Indiana Jones. The area was carved in the early 1st century as the tomb of an important Nabataean king and represents the engineering genius of the ancient Jordanian people.